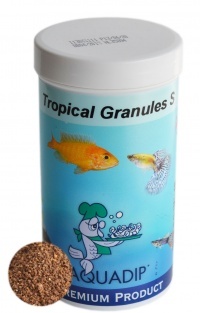 These granules are ideal for feeding alongside flakes and other feeds. They are partially sinking and partially floating so they are suitable for fish at all depths in the aquarium. They are disgined for larger tropical fish.